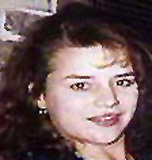 Melinda was last seen on March 24, 2003 at her residence on Kent Road in Atmore, Alabama. She had arrived home from work where she was a nurse on the night shift at a Bay Minette, Alabama nursing home, at 8:00 a.m. that day. Her husband, Troy McGhee, was at that time at work at Masland Carpets. Their two children were with a baby-sitter, and Troy's son from a previous relationship was at the dentist's. Melinda spoke to Troy and to her mother on the phone at approximately 8:30 a.m. She has never been heard from again. Troy came home at close to 4:00 p.m. that afternoon and found his wife missing. There was blood and other evidence of a violent struggle in their house. He reported her missing at that time. Melinda's vehicle was found parked near the house with her keys locked inside. Her purse and cellular phone were inside the residence. There was evidence of a struggle inside her home, but no indications that anyone had been murdered there. Foul play is suspected in her disappearance; authorities believe McGhee was assaulted and abducted while she was sleeping. She and her husband had been happily married for seven years and had been planning a weekend trip to the beach when Melinda vanished. Their home is at the end of a dead-end dirt road in a rural area, near Poarch, Alabama. There are only three other houses on the road. Authorities are looking into the possibility that Derrick Todd Lee, the alleged Baton Rouge serial killer, was involved in Melinda's apparent abduction. Lee has been charged with the murders of six southern Louisiana women and is suspected in numerous other murders, rapes, and disappearances in the Baton Rouge, Louisiana area. He has been charged with murdering Randi Mebruer and is considered a possible suspect in the disappearance of Mari Fowler and Glenn Tankersley. A photo of Lee is posted with this case summary. Melinda's case is similar to Mebruer's, but as Melinda disappeared 250 miles away from Baton Rouge, Lee is not considered a strong suspect. Suspected serial killer Jeremy Bryan Jones is also a suspect in her disappearance; a photograph of Jones is posted with this case summary. He is also a suspect in the murder of Patrice Endres, who missing for eighteen months before her remains were found in December 2005, and the abductions of Ashley Freeman and Lauria Bible. Melinda's case remains unsolved; she is presumed to be a victim of foul play. Updated 6 times since October 12, 2004. Last updated February 7, 2008; picture added, details of disappearance updated.